Time & attendance terminals and physical access control devices must work for real people. When you need to know who starts a work shift or who enters a building, you need patented multispectral fingerprint imaging from HID Global. Improve productivity — Multispectral fingerprint imaging works in all environments, consistently capturing high-quality fingerprint images even when the finger is dry, wet, dirty or in strong light. Strengthen security — Prevent fraudulent use of fake or stolen biometric data with high-performance liveness detection. Deliver matching accuracy — Be confident that only legitimate users are authenticated with reliable 1:1 matching and 1:N search. 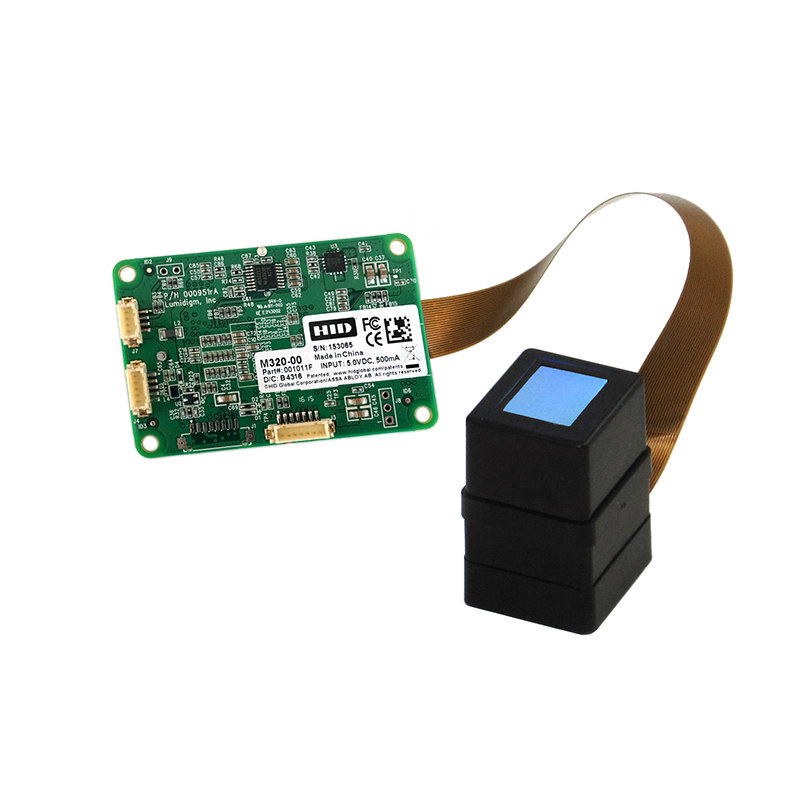 M-Series modules bring proven multispectral fingerprint imaging to demanding yet cost-sensitive applications, with development tools that help speed your time to market. 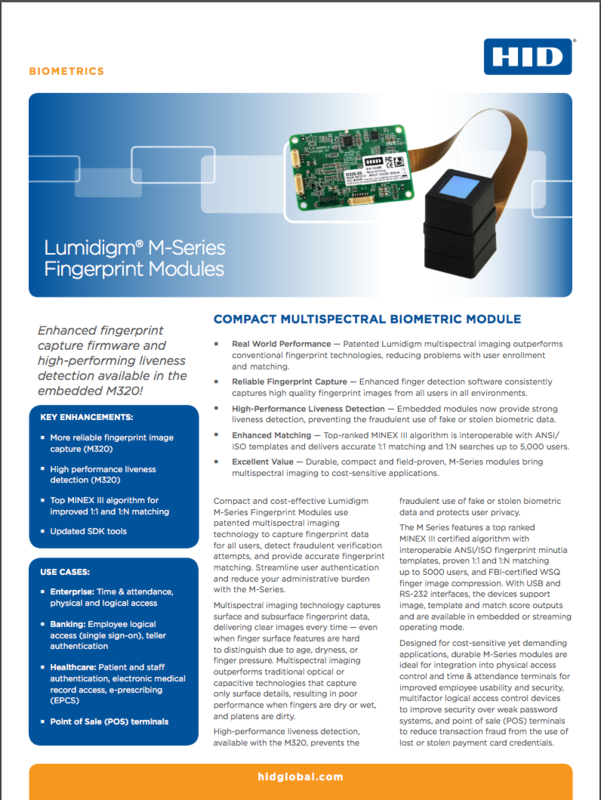 Lumidigm® M-Series Fingerprint Modules deliver proven multispectral fingerprint authentication, outperforming competitive fingerprint technologies, especially if users’ fingers are dry, wet or dirty. When knowing “who” matters, affordable and compact M-Series fingerprint modules are easily integrated into your device to deliver productivity, security and accuracy for your real-world applications.